One of the greatest things about having an RV is the ability to get in on dry camping or boondocking. Unfortunately, many RVers don’t even know this opportunity exists and therefore miss out entirely. If RV dry camping is something you’d like to try but you’re not sure how to get started, this is the article for you. Here we will address common boondocking questions and let you in on our favorite dry camping tips. Some of you may be wondering, “What does dry camping mean?” Basically, this is a term that means camping without any hookups whatsoever. Dry camping, also known as boondocking, can be done on private property (with permission, of course), on government-owned lands, or anywhere else you can find a place to park legally. In most cases this is free camping, so it’s a great option for those on a tight budget. The next thing that most people want to know is how to dry camp. Our number one tip is to dip your toes in first and build up to longer trips as you find your own boondocking groove. Without water or sewer hookups, you will want to learn some ways to carry extra water, how to conserve this precious resource, and ways to get rid of the waste water properly. Get a bladder — A water bladder such as this one is a great way to carry extra water. Use it to refill your fresh water tank when it runs dry. Change your shower head and faucets — A low-flow shower head as well as low-flow faucets, can save a lot of water. Reuse shower or dish water — Instead of using fresh water to flush your toilet, collect your dish and shower water and use it when it’s time to flush. This saves fresh water and makes more room in your gray tank when needed. Shower less — Of course, showering less helps too. Dry shampoo and wipes help a lot. Invest in a blue boy — A blue boy can hold onto waste water when your tanks get full and you’re unable to make it to a dump station. It’s also easier to transport a blue boy to and from a dump station than it is to move your entire rig every time you need to dump. Beside water, you’ll also need to find ways to conserve and create electricity when boondocking. Obviously, things like running the air conditioner or a hair dryer are typically out of the question without electric hookups, and even things like lights and vent fans can drain a battery faster than you might imagine. Change to LED lighting — Changing all of your lights to LED will help save electricity. Get a solar panel — A portable solar panel is relatively inexpensive and can be extremely helpful when it comes to keeping your RV battery topped up. Invest in more batteries — Of course, having more batteries to work with will also mean more electricity to use when off-grid. Combine these with multiple solar panels for best results. Use a generator — Most motorhomes come with a camping generator. Meanwhile, those using travel trailers will need to invest in a separate one. Either way, using a generator is a great way to top up your battery and even run the A/C on really hot afternoons. Just be aware that generators shouldn’t be run constantly, or at night out of respect for other campers. You already know you’re going camping this year. The only question is: where to? 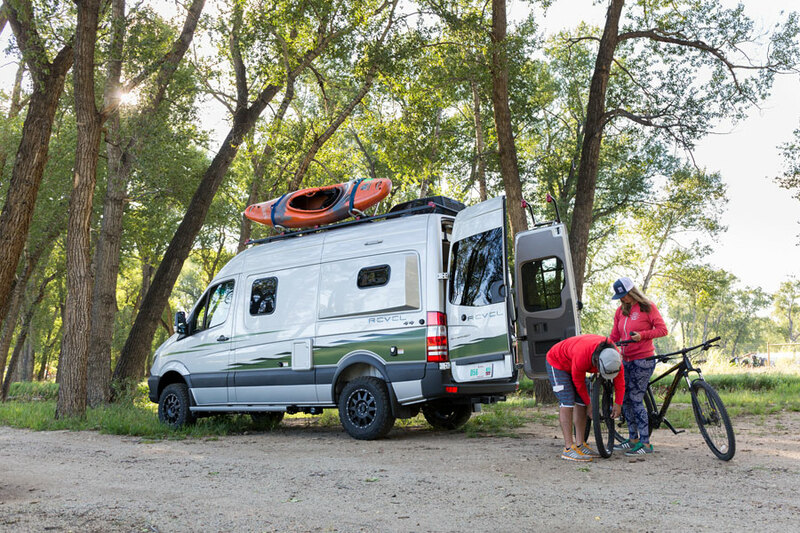 If you’ve never traveled by motorhome or trailer before, you may be wondering how to go about finding camping spots — or how to narrow down the best places to camp from the huge number of options on your destination bucket list. 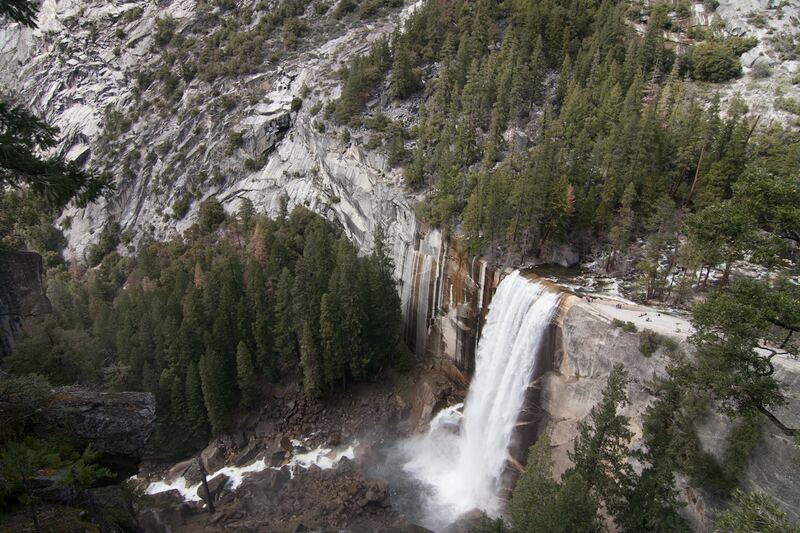 The good news is, the U.S. is chock-a-block full of amazing places to explore in your RV. The only problem is trying to see them all in just one lifetime! Which means, of course, that you’ve got some narrowing down to do. After all, most of us can’t quite afford to be on permanent vacation. 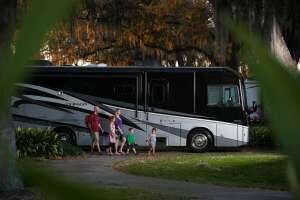 (Full-time RV living is a thing though, and quite a popular one. 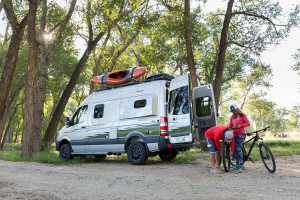 But whether you’re a weekend warrior looking for a quick getaway spot or planning your next epic cross-country road trip, we’ve put together some of the very best campgrounds and camping locations in the U.S.A — and some surefire tips to help you find great spots no matter where you’re headed. The Top Camping Spots in the U.S. In no particular order, here are some of the best places to go camping in the U.S., including national parks which have some of the top campgrounds in the nation. Nestled right between two of the most popular national parks in the system — Arches and Canyonlands — Moab is the perfect place to plant yourself if you’re looking to explore southeastern Utah’s surreal desert landscape. See the stunning, delicate expanses of sandstone arches and glowing red mesas carved by centuries of geological activity, or take a thrilling whitewater ride down the ancient Colorado River. Plus, once you’ve had your fill of outdoor fun (if that’s possible), Moab itself has a whole lot to offer in the way of slightly-citified excitement. Enjoy a bite at one of its many well-loved local eateries, or meander through its gift shops and informational centers. The town is also home to a variety of museums with tons of local historical artifacts and educational opportunities. The Museum of Moab has a world-class collection of dinosaur bones on display, too — so it’s a can’t-miss if you have an aspiring paleontologist along for the ride! Great Smoky Mountains stands out from its US national parks peer group in a variety of ways. For one thing, it’s the most popular. For another, few of the national parks have such a vibrant gateway city — and fewer still are free to enter. This weird little desert city is just that: weird. Be sure to take the time out of your Joshua Tree experience to visit and take notice of such attractions as its collection of love signs or grab a cooling brew at the Joshua Tree Saloon. Temperatures can easily top 100 degrees in the summertime, so you’ll need the breather. Yes, we’ve definitely touted this place before on our destination lists… but it’s easily one of the best places to go camping on the west coast. Nestled between the urban insanity (which we mean in a good way!) of California’s bay area and the serene beauty of Big Sur, Monterey Bay is a great place to camp no matter which side of the landscape you’re exploring. Along with its variety of driveable day-trip options, Monterey itself is home to some not-to-be-missed attractions, including the famous Monterey Bay Aquarium and the scenic Fisherman’s Wharf. Pebble Beach, which hosts a renowned annual food and wine festival, is just minutes away, as is Carmel-by-the-Sea — and just a few minutes there will quickly make you understand why Clint Eastwood chose it over Hollywood. It’s one of the most famous, if not the most famous, national parks for a reason. But the city that lies just an hour south of it is not to be missed, either. Home to Northern Arizona University, Flagstaff has way more than its fair share of arts and culture to explore for a town of its size, not to mention the abject beauty of the surroundings. You could camp in town and drive up to the rim for the day, or camp inside the national park and make a day trip down to Flagstaff. 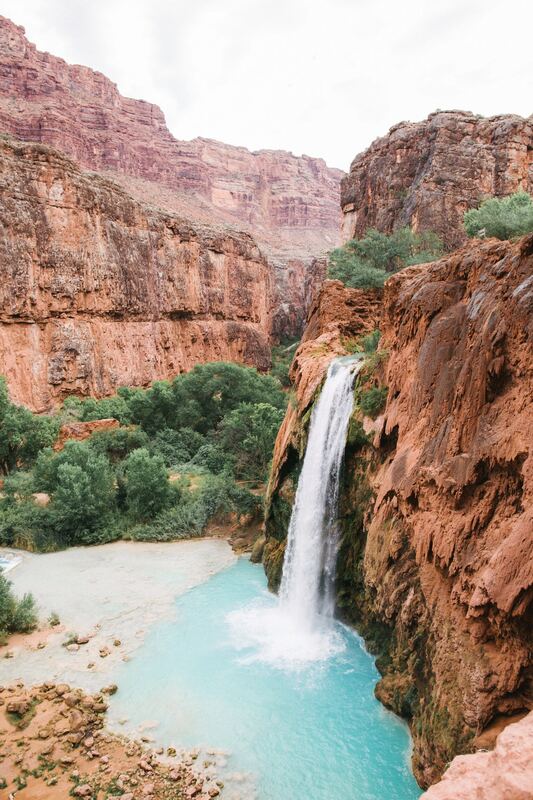 But either way, don’t do yourself the disservice of missing either of these epic Arizonan travel destinations. Set along the banks of the Columbia River Gorge, Hood River is the perfect camping alternative to Portland. After all, you can still get to town in a day — but you’ll be closer to what you likely really came for: that inimitable Pacific northwest landscape and its endless array of outdoor activity opportunities. Oh, and did we mention the insane view of the mountain it’s named after? 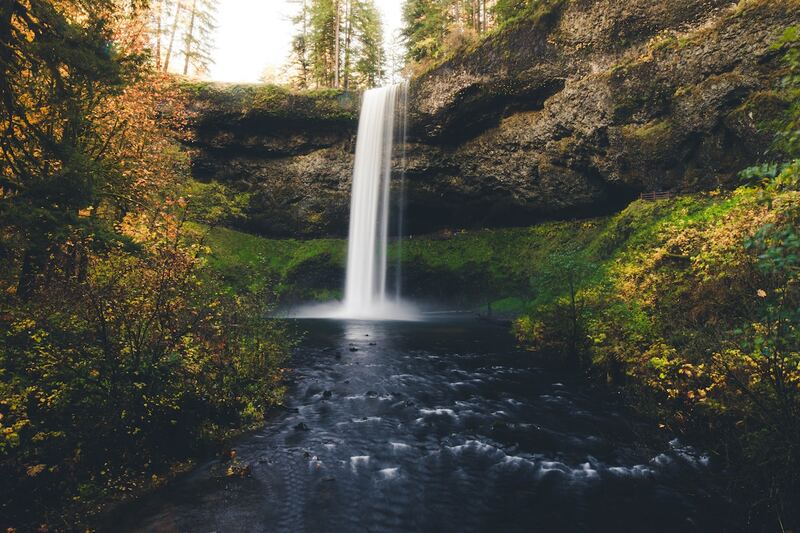 The town itself is small, but big enough to have all the resources you need to round out an epic Oregon vacation. enjoy one of the craft brews the state’s known for, or, if you’d rather, take in some world-class wine tasting. If all else fails, you can always spend the afternoon watching the windsurfers on the Columbia… or better yet, joining their ranks yourself! Yes, Oregon’s so nice we’re listing it twice — and the coast is a whole different thing from exploring the interior. Although you wouldn’t be remiss to camp nearly anywhere along this stretch of boulder-strewn, tidepool-punctuated coastline, Yachats (pronounced “ya-HOTS”) easily numbers among the most beautiful places in the world, let alone the country. Enjoy the quaint town’s quiet offerings of fresh local seafood and handcrafted beers, and keep your eyes peeled on the ocean: you may just see gray whales breaching. Hike Cape Perpetua for a view you won’t soon forget, and then meander along the coast itself to see the strange effects of an eon of the water crashing against the continent: with names like Thor’s Well and Devils Churn, how can you resist? The perfect combination of mountain wilderness and downtown wildness, Asheville stands out among all U.S. cities as a camping contender. Whether it’s manmade or natural, you can’t walk ten feet in Asheville without finding something breathtaking to look at. For one thing, the view of Mt. Wheeler — the tallest in the state — and its surrounding chain of southern Rockies will absolutely floor you, especially at sunset. And that’s before you head to dinner at one of the many local eateries serving up some of the best Mexican cuisine you’ve ever had. It’s no wonder such a scenic town is a haven for artists, and you’ll have ample opportunities to peruse their productions as you walk around the town’s square. 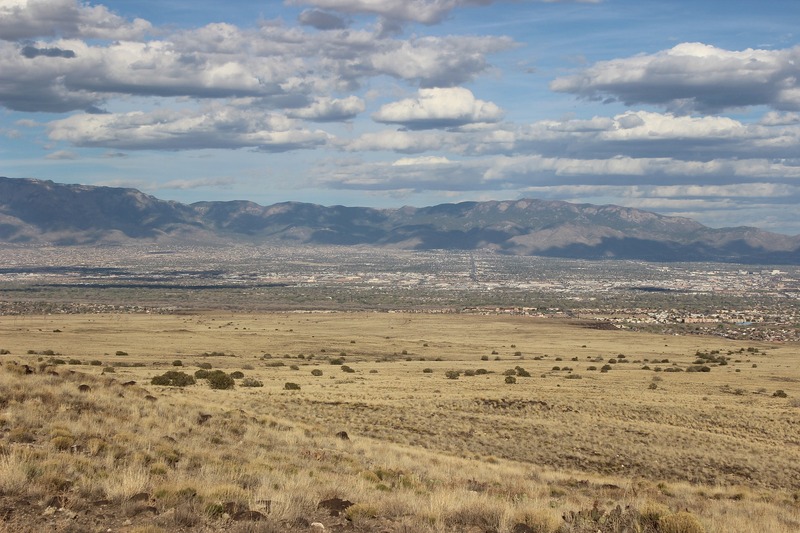 And just an hour and a half south, you can double down on the arts-and-outdoors experience in the state’s capital city of Santa Fe. Oh, did we mention there are two world-class hikable hot springs within easy driving distance, not to mention the Rio Grande Gorge Bridge? There’s a reason they call this place the “Land of Enchantment.” (Speaking of which, don’t miss your chance to drive the famous Enchanted Circle! Along with the bounty of beautiful sweeping views, visitors to the Maine coastline can find their way into historic lighthouses and all manner of world-class restaurants — you won’t go hungry, especially if you like seafood. Shops, galleries, and museums also abound, drawing visitors in and beckoning them to extend their stays longer and longer. Lake shores, mountain slopes, and a vibrant city — all tucked away in the often-overlooked Idaho panhandle. Sun Valley might get all the glory, but a visit to Sandpoint will prove that great things come in small packages, whether you’re looking to hike, climb, waterski, or just kick back and enjoy the scenery. Northern Idaho is also home to some of the best remote hot springs in America… although finding them might be a bit of a challenge. Locals like to keep these best-kept-secrets just that: kept. So try and make some friends while you’re in town — you might just get taken along on a soak if you’re not considered a stranger! Anyone who’s been to the Front Range can tell you that the Rocky Mountain high is real. And hip, bustling Boulder is the perfect place to serve as home base while you enjoy all that Colorful Colorado has to offer. With its upscale outdoor mall at Pearl Street and its array of artisan coffees and brews, Boulder has just about everything an urbanite could want… all under the closeby gaze of those epic, challenging, unendingly beautiful mountains. Even if you don’t go into the national park proper, there’s tons of stuff to do, with the Arapaho and Roosevelt National Forests right there, ready to be explored. The surrounding cities are worth checking out, too; everyone knows about Denver, of course, but Fort Collins should show up on more travel lists. If you do end up there, make sure you make time to take in a film at The Lyric, one of the weirdest, most awesome little indie theaters this author’s ever been to. Herds of wild bison, Needles Highway, Mount Rushmore, and just the plain-old wonder of the Black Hills themselves — no wonder this corner of South Dakota is considered one of the best places to go camping in the midwest. Try your hand — er, foot? feet? lungs? — at summiting Black Elk Peak, and keep your eyes peeled for mountain goats while you’re at it. And yes, the buffalo do roam here, often right by the roadside, but you’ll want to be sure to keep your distance. As it grows in popularity, the Black Hills region has also become a somewhat surprising oasis of cuisine and culture, tucked away in an otherwise rural area. Learn more about western history at one of the may museums or interpretive centers, and finish it off with a meal fit for a king. It’s all waiting for you in Custer! Albuquerque, New Mexico is a wonderful city, full of art, great food, and convenient transportation options including an airport, train station and bus system. It’s well worth a visit by RV, but choosing where to go and what to do during your stay can be overwhelming. Here’s your guide to where to go and what to do in Albuquerque, New Mexico. This is the world’s longest tramway, and there’s an observation point at the top (10,378 feet) to stop and enjoy the view. There are great hikes nearby, and this makes a great spot to view the sunset too. Rides are $25 for adults. This is an absolute bucket list item, probably for every RVer out there! 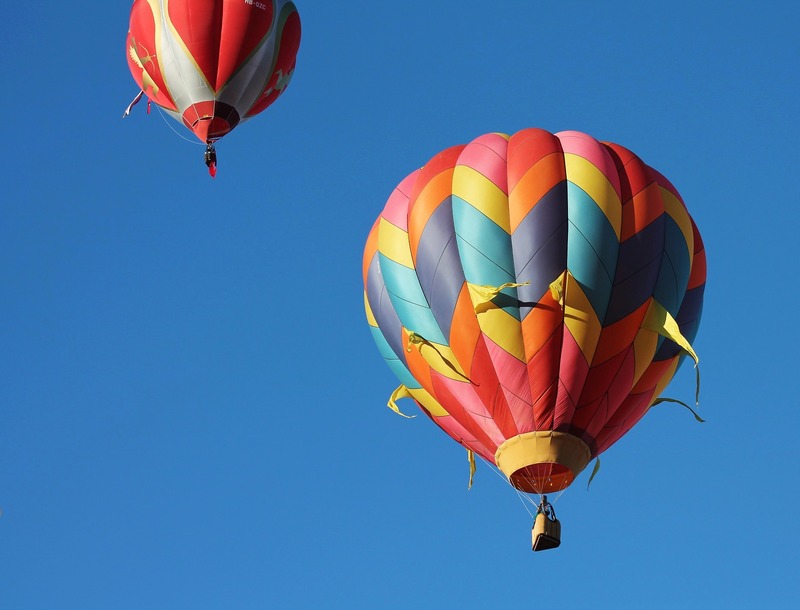 For nine days in October, the skies above Albuquerque fill morning and night with hundreds of hot air balloons and pilots from around the world. Entertainers, food and fireworks add to the mix, making the Balloon Fiesta an absolute must see. This is a great introduction to local Pueblo culture and history, but we’ve heard Pueblo Harvest, the restaurant inside the museum, is worth a trip in itself! Pro tip: try the blue corn pancakes. Historic Route 66, and the new one, go right through Albuquerque! As though you needed another reason to pack your camera. With a mix of shops, museums and restaurants, historic old town deserves a few hours of your time as you explore the adobe architecture here. Plan to grab a bite to eat while you stroll, explore a museum (perhaps the Natural History museum if you’re fond of dinosaurs) and find a souvenir or two. Here, in historic Old Town, you’ll find an aquarium, botanic gardens and perhaps the best part, the zoo! Here you’ll also find Tingley Beach, perfect for fishing (license required) or taking a walk by the Rio Grande Bosque. There’s no admission charge to visit the beach. You’ll quickly notice that art is everywhere in Albuquerque! There’s even an ABQ Public Art App to help you find it. There are too many great places to name them all here, but eating some green chiles—perhaps as part of a Green Chile Cheeseburger—is an absolute must while you’re in the area. And if you need to cool down after your green chile adventure, take a detour to La Michoacana De Paquime for some simple and delicious Mexican ice cream. Pro tip: Try the Pine Nut ice cream. One campground option is Rio Grande Nature Center State Park. A day pass is only $5, but if you’re lucky, you can book a campsite here. If you’d like a more traditional campground, American RV Resort and Albuquerque Central KOA are good options. And if you really want to go deluxe, try the Route 66 Resort at the Casino complex. One of the best parts of RVing is discovering new places. However, places that are new aren’t very familiar! So, when we need to find a good campground in a new place, we rely on these 5 apps to find campsites. Campendium is probably our favorite app. It was the first app I learned to use to help Jon find campsites. The search function is very intuitive. Both on the website and the mobile app, the search box is front and center. You can type in your destination. Or, in a pinch, you can quickly select from nearby RV parks, public land, free camping, overnight parking, and even dump stations. When we first began to RV, Reserve America was a favorite app of ours. Even now, as experienced RVers, it remains our favorite app for finding State Parks and reserving stays at State Parks. Reserve America is also a helpful tool for finding and reserving RV park campsites as well. The main benefit to using this app is that you’re able to make and pay for your reservations right within the app. We find the app to be easy, clear, and straightforward when it comes to securing and paying for reservations. One of the most robust apps is the Park Advisor RV Parks and Campgrounds app. We find it impressive because it includes many points that are of special interest to RVers. A map will not only show you campgrounds, but also nearby Cracker Barrels, Walmarts, Flying Js, Sam’s Clubs, Costcos, and dump stations. This app is excellent if you’ve arrived to an area ahead of schedule and your reservation hasn’t yet begun. It’s also helpful if you’ve had to unexpectedly change plans. You may need to spend a night at a Walmart or Cracker Barrel before regrouping and moving on to a campground. The ability to search for established and “informal” campgrounds internationally is iOverlander’s strength. If your RV travels are taking you into Canada or Mexico, this is a great app to use. It’s also useful if you plan on flying to a country and then RVing for part of your visit. In addition to campgrounds, the app allows you to search for dump stations, wild camping, and propane. Another unique feature is the ability to filter your search results by how old user reviews are, since the quality of a campsite can change over time. You can filter out results that don’t have reviews within the last 3 months, 6 months, and 1-5 years. The Dyrt is a newer app serving the needs of both RVers and tent campers. As an Rver, you’ll want to be sure the search result you click has the icon for “RV sites.” Being that the app is newer, it isn’t as robust as some of the others on the list, but it is the most interactive. You can earn points and prizes for submitting reviews of the campgrounds that you stay at. They also have a quick search where you can explore campgrounds by state. This initially sorts the campgrounds with “top campgrounds,” as determined by reviews, at the top of the results. We’ve said it before, and we’ll say it again: the very best road trips aren’t about the destination. Especially in the RV world, it’s all about the journey — and making that trip as memorable, comfortable, and beautiful as possible. Seeking out the scenic view has been a road trip tradition since road trips were a thing. In fact, that’s one of the most attractive aspects of road tripping in the first place: You actually have the time (and are generally traveling slowly enough) to take in the beauty of the road you’re traveling. Don’t get us wrong, the views out of an airplane window can be beautiful… but it’s hard to pick out individual details from 35,000 feet! We think RVing goes hand in hand with taking the back roads, the slow roads, the roads that don’t necessarily get you where you’re going fast… but which you’ll always remember. And many of the roads we’re about to talk about are so beautiful, you’ll be glad they aren’t getting you anywhere fast. In fact, you may just wish they went on even longer! So buckle up, campers! It’s time to hit the road. And while it may not be a short journey, it’s definitely going to be a good one. Alright, enough chatter about logistics. You’re looking to take the ultimate American road trip, right? If stunning scenery is what you’re after, here are 17 of the very best US trips to consider. But this short, privately-owned drive around the jutting coastline of Pebble Beach is lesser known, though just as stunning. Coastal cliffs on one side and snow-white sand beaches on the other, all under the perfect everpresent breeze of central coast California… how can you go wrong? Do note, however, that admission to 17-Mile Drive does require a fee of $10.25 per vehicle, which can be paid in cash only. This price is reimbursed with a $35 purchase at most Pebble Beach Resorts restaurants, except for Pebble Beach Market. Winding its way through almost 70 miles of these two mountain momma states, Beartooth Highway is a must-do if you’re visiting nearby Yellowstone. It’s an easy way to get acquainted to one of the most biodiverse landscapes in the country — and a whole lot of natural beauty, to boot. Glacial lakes, forest-covered valleys, and waterfalls await, as do mountain goats, grizzly bears, and wolves. It’s definitely worth taking the slow way in the heart of America’s first federally-preserved ecosystems! Spanning more than 400 smoky, roaming miles, the Blue Ridge Parkway may just be correct in naming itself “America’s Favorite Drive.” If you take on the entire thing, you’ll pass through two states and countless ancient mountain valleys — not to mention all the unique attractions and stops there are to make along the way. Whether you go during the lush greenery of summer or the leaf-changing transition of fall, the view is a hard act to follow. Along with hiking, biking, and other outdoorsy opportunities, this part of the country is also well-known for its delicious, estate-grown wines and craft beers. In fact, the Blue Ridge Parkway winds right past Asheville, which has one of the highest numbers of breweries per capita in the entire country. Although it’s just 35 miles outside of Dallas, you may not have heard of Ennis, Texas — but if you want to see one of the most heartstopping displays of bluebonnets in the country, you may consider typing it into your GPS. Designated by the state in 1997 as the “Official Bluebonnet City of Texas,” the town is also the nexus of almost 40 miles of wildflower-strewn driving routes, bubbling over with these violet beauties each April. We’re not done yet! If you’re looking for a scenic road in America, here are just a few to pick from. Lowest, hottest, and arguably most surreal: Death Valley is well known to be a land of extremes. But even if you’re not prepared to tackle this demanding landscape on foot, you can get some taste of its intensity simply by simply driving through it. Yeah, yeah, we’ve all heard about the Overseas Highway and the Seven Mile Bridge. But if you want to see what real, old Florida looks like, you’ve got to head to the center, where live oak canopies are punctuated by vast fields of farmland that are still being worked to this day. As you cut through the heart of the state on this 60 mile drive from Loughman to Sebring, you’ll pass citrus fields, farmhouses, lakes, and cold springs — which are definitely worth taking a detour for. At 74 degrees year round, there’s never a wrong time to take a quick dip! Another national park scenic byway, this drive may just be one of the most famous American roads on the list. But thanks to the area’s extreme northern latitude and elevation, you’ll have to time your trip right if you want to experience it! Because of the ice and snow that give this Montana national park its name, many parts of Glacier are inaccessible for a broad swath of the year — including its most celebrated scenic route. The road may not be entirely plowed and clear for vehicular traffic until well into July, depending on the season. But if you visit the Crown of the Continent in the summertime, you’ll be rewarded not only with this stunning drive, but with amazing hiking opportunities revealing high alpine lakes and forests that seem brought to life from a fairy tale. Just be sure to be safe with your food and hike in groups. Northern Montana is grizzly bear country! This 14-mile stretch of South Dakota Highway 87 was actually considered “impossible” to construct by its detractors back in the nineteen-teens — but sure enough, its builders persisted, creating a winding series of sharp turns through awe-inducing granite peaks and spires. The loop is only about 30 miles south of Rapid City, tucked in the northern section of Custer State Park. Since you’ll already be paying for entry, take advantage of the area’s ample hiking, fishing, and bison-watching opportunities — herds often graze and lounge just feet from the roadside. Known by locals as “the King of Roads,” this historic scenic byway winds its way through the gorge, past waterfalls, streams, wildflowers, and plateaus. You’ll definitely want to get out your hiking map to figure out where along the way to stop and explore on foot. Although some of the area is presently shut down due to wildfire damage, several trails remain open, according to the USDA. Straddling the border of two of the most mountainous states in the union, Lemhi Pass passes through the Beaverhead range, a subset of the Bitterroot section of the Rocky Mountains. It follows the continental divide, meaning it’s a whopping 7,373 feet above sea level. And although it’s fairly easily accessible from either stateside (and has actually been designated a National Historical Landmark), it is an unpaved road, which means you may need to disconnect your tow vehicle before you venture down it! U.S. Route 50 is actually a transcontinental road, running more than 3,000 miles from Ocean City, Maryland to Sacramento. That means it meanders through lots of rural landscapes — but the section that knifes Nevada in half was named “The Loneliest Road in America” by LIFE magazine back in 1986, and no one could really argue. The nickname has stuck, as has the lack of population and traffic (so far). So if you’re looking to feel like you’re all the way out there, plan this driving route on the way to or from Las Vegas or Great Basin. Washington State Route 20 is the northernmost way across the Cascade Mountain Range, and is a subsection of the larger Cascade Loop, a 400-mile tour of this unique and stunning biosphere. Lush greenery, gem-like blue lakes, and precipitous cliff faces await the brave explorer who takes this trip through the American Alps. Beginning (and ending) at the Hulls Cove Visitor Center inside Maine’s famous, granite-peak-studded Acadia National Park, this 27-mile drive showcases Acadia’s lakes, mountains, forest, and its signature rocky coast. If you drive a particularly large RV, however, be forewarned: much of the route is one-way traffic only, and it does traverse some narrow passages. Which is the best road? The most beautiful, of course. You may have to fly (or boat, or… swim a long way?) to get there, but once you’re in — er, on? — the Aloha State, this epic drive awaits. Plush jungle landscapes and breathtaking coastlines combine to create one of the most visually diverse and stunning driving experiences in the country, all punctuated with fascinating historical and cultural sites where you can learn more about the early days of Hawaii. This 120-mile drive through some of the most beautiful parts of consistently-stunning Colorado will wind you by pouring waterfalls, glassy lakes, and small towns dotted with interesting attractions. Creede, Colorado, for instance, has a population of less than 300 — but its Repertory Theater was named “one of the 10 best places to see the lights way off Broadway” by USA Today. Creede is also home to the Underground Mining Museum, which can help you learn more about the silver boom to which the town owes its foundation… and the hardscrabble lifestyle of the men who actually did the digging. Traversing the perimeter of the peninsula south of Newport, this drive is divided into four legs: Brenton Cove Shore, East Passage of Narragansett Bay, Ocean Drive, and Bellevue Ave. You’ll see historic homes and mansions bespeaking a gilded age, when wealthy New Yorkers would make their way south to their Rhode Island summer homes in the late 1800s. You’ll also pass the state’s stunning Brenton Point State Park, whose windswept beaches draw both amateur and competitive kite flyers. Yes, there are more direct routes from New Mexico’s capital to its favorite ski bowl — but this slightly longer drive is sure to show you why artists like Ansel Adams and Georgia O’Keeffe found the high desert landscape so intriguing. 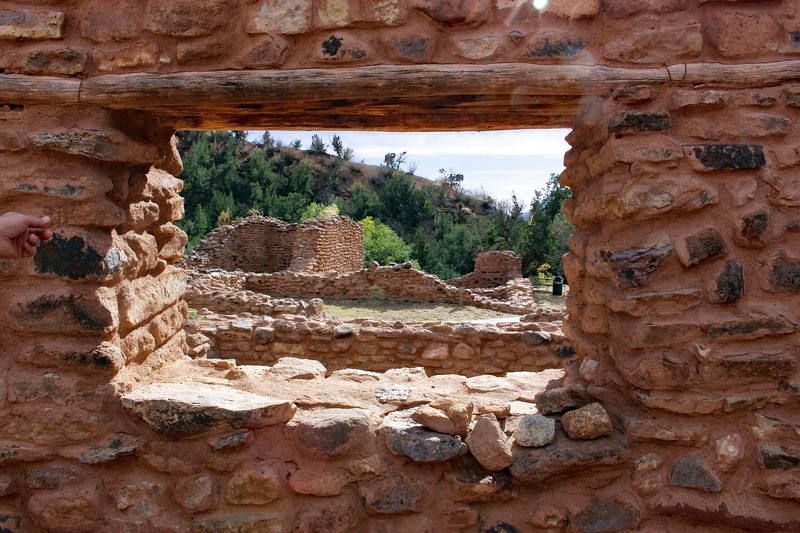 After taking 84 north to the south end of Española, you’ll cut east on 76 to pass through the charming little town of Chimayo, before meandering through a few more small towns within the pine-filled (and decidedly un-desert-like) Carson National Forest. Finally, you’ll arrive in Taos, where the well-known mountains loom large over the striking cut of the Rio Grande Gorge. Don’t miss a stop on the bridge of the same name — but even if you’re not normally afraid of heights, be sure to prepare your stomach. Ready to take a Road Trip in the USA to Remember? Here’s the thing: considering how large and lovely this country of ours is, pretty much any American road trip can be one to remember. No matter which state you start in or what destination you’ve got your sights set on, there’s a gorgeous USA road that’ll take you there — even if it does take just a little bit longer than the most direct route. Happy trails to you, campers. May they always be the most scenic ones available, even if they’re not the fastest! After all, it’s not a race — it’s a journey. Taking your first trip in an RV is beyond exciting. There’s the thrill of trying something new, the ease of camping with your own bathroom and kitchen, and the anticipation of adventure when you get to your destination. Even the chore of packing can be kind of fun! Of course, before you start loading up your rig, you’ll want to make an RV checklist. In many ways, packing for an RV trip is similar to packing for any other road trip. But there are certain things that, as a beginner, you may not realize. (For example, did you know there’s a special kind of toilet paper made just for RVs?) Don’t worry — we’re here to help. Read on to learn more about what to pack for an RV trip. To start making your RV checklist, we recommend thinking about your day from the moment you get up in the morning. Start in bed, for example. Do you have a favorite pillow? Do you like to bundle up with several blankets? Do you have a hard time sleeping without a box fan? 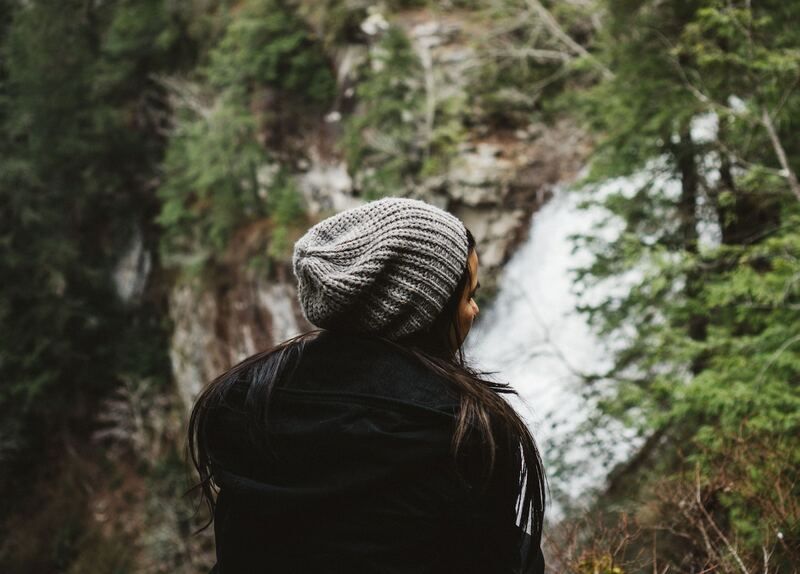 Add those items to your list so you can be comfortable during your trip. Next, you’ll probably want a cup of hot coffee and something to eat for breakfast, so you’ll want to make sure your RV has a coffee maker or French press. Don’t forget to think about plates and silverware! Some people prefer the ease of disposable utensils, while others are fine washing their own dishes to prevent waste. If you plan on washing dishes, be sure to bring a sponge, some dish soap, and some clean dish towels to get the job done. By mentally going through your day step-by-step, it’s easy to see what RV supplies need to be packed. You can use this method to figure out whether you’ll want some folding chairs and string lights for sitting outside, or to remember to pack some plastic wine glasses to use at dinner. While you want to be prepared, be cautious not to overpack. Remember: Every item you bring with you is extra weight that you’ll be hauling down the highway, which in turn reduces your overall fuel efficiency. Many people like traveling in an RV because it gives them the opportunity to cook meals at home. Before you head to the supermarket to stock up, make an RV grocery list of all the drinks, snacks, and kitchen essentials you think you’ll want on the road. This is where meal planning really comes in handy — if you’re so inclined, you can even think of creative ways to reuse your leftovers for another meal! Again, cooking in an RV is a different experience than cooking in a regular kitchen, so be sure to prepare accordingly. For example, you may not have an oven or a full-sized refrigerator, which means you would need to think of recipes that can be cooked on a stovetop or without a lot of perishable items. And if you’re planning on grilling, don’t forget to pick up some charcoal (and a portable camp grill if there won’t be one at your campsite). Now for the fun part — RV accessories! There are so many RV camping supplies on the market that sometimes it can be hard to determine what things are optional and what truly are the camping necessities. For the most part, using items you already own is more than OK. While the aforementioned RV toilet paper is nice to have, you should be fine with any thin, single-ply version that can be easily picked up at your regular grocery store. In the end, you really don’t need the latest RV camping gear or gizmos to have a fun and memorable trip. If we could summarize our packing advice in a few thoughts, we’d say to make a list in advance, come prepared, and avoid overpacking. After that, don’t stress — your fellow RV-ers tend to be a friendly bunch and will more than likely be happy to let you borrow anything you forgot. Safe travels and happy camping! It’s that time of year again! 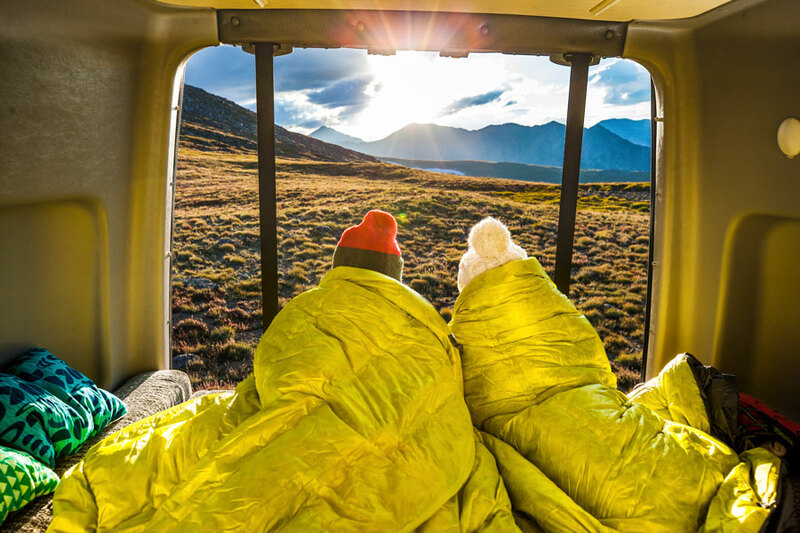 While not all RVers choose a minimalist lifestyle, many will tell you that they agree with the philosophy of choosing ‘experiences over things.’ While awesome RVing gear can certainly add some fun to those camping memories, there are many thoughtful gifts that don’t take up space. Consider gifting these passes and memberships for your family to enjoy together or for your favorite RVing friend to try out. Know someone headed to Canada? They have a great National Parks Pass, too! Similar to a National Parks Pass, except these passes are state-specific and often come with some great camping perks as well! If the person you are gifting is based in one area or planning to visit a specific place, this is a fun gift option. Some state parks are free, but others charge an entry fee – even for campers. However, some states offer an annual pass that can offer a ton of savings for those frequenting these parks. For example, the annual Texas State Parks Pass is $70 for one person and $25 to add another person with the same address. A pass allows for free entry and discounts on camping, store purchases, and equipment rentals. Fellow GoLife contributor Bryanna Royal has written about how great the North American Reciprocal Museum (NARM) Association is a few times. If you are an RVer with kiddos who love museums (or know one to gift this to), this could be the hit of the holiday season! Lots of fun for singles or couples who love to learn while they travel as well. (Read why Bryanna and her family love it). If you’ve never given a CityPASS or Go City Card a try, they are a blast. We always check for these when we’ll be visiting a new city for an extended time. If you know an RVer who is headed to a new city they plan to explore thoroughly, check for one of these great all-inclusive passes. They are usually good from one day to a week and they include entry to dozens of attractions, plus some additional discounts. We did this in Orlando, FL, once and had non-stop fun all day! If your co-pilot or RVing friend loves wineries and/or farms, this membership is sure to be a hit! Harvest Hosts is becoming more and more popular with RVers wanting to get away from it all and enjoy a unique experience while there. My husband and I can’t rave about this enough. (Read more about our experiences here). A membership gives you a list of hundreds of farms, wineries, breweries, museums and other unique places that will allow you to park there overnight. However, just make sure the person you are buying this for has a self-contained rig, as these places usually only provide dry camping and won’t have facilities to use. An annual membership is currently $49, but that is due to go up in 2019. The membership begins once the gift recipient activates it on the site with the code. Maybe you have been part of WIT Club for some time and want to share this great resource with a new RVing friend, or you know a new Winnebago owner who wants a way to connect while on the road. Either way, this gift comes with a lot of perks! A WIT Club membership is $39.95 for one year and comes with multiple discounts and benefits, as well as invitations to special Winnebago-owner events throughout the year, called rallies. There are hundreds of chapters and clubs nationwide, so your favorite GoLifer will have plenty of opportunities to connect with and learn from like-minded RVers. (Check out this recap of a recent WinnieBs event for an example of the kind of fun to be had). To purchase a membership, use this online sign-up form. And if you have any questions, there is contact information on the bottom of the form. Reading is a great way to spend those cool nights bundled up by the fire or warm summer days lounging in the sun. Since many RVers don’t have space to bring a large collection of books, many choose a Kindle instead. If your RVing friend already has a Kindle, sending them an Amazon gift card for them to purchase a Kindle Unlimited Membership could be a big hit (you can even email the gift card – too easy!). For about $10 per month, they will have access to more reading material than even the most leisurely trip will allow for. And if you know a new RVer, suggesting some good Kindle e-books about the new lifestyle they’ve chosen is another thoughtful way to show your support of their grand adventure! Don’s second suggestion is Living the RV Life: Your Ultimate Guide to Life on the Road by Marc and Julie Bennett who are also full-time RVers. Don does note that there is some content overlap with Padgett’s book. However, with lots of supporting photography and short one-page profiles of different RVers, this book “has a bit more of an inspirational, get out there and do it, kind of feel.” He recommends them both to help demystify the RV lifestyle! While RVing is all about spending time in the great outdoors, it is also about bringing the comforts of home along on your trips. Which is why having some great options for movie nights, or TV shows to binge on bad-weather days (or when you need to let your Kindle charge), is really nice to have. If they don’t have it already, consider getting your favorite RV traveler a gift membership to Netflix, Hulu, or Amazon Prime (which all vary in price, but are close to $10 per month). Not sure if they already have one of these services? Redbox does gift cards also! And I’m sure some gourmet popcorn or other snacks would be welcomed accompaniments! It took about one month of searching for local radio stations as we traveled around to decide a satellite radio subscription would be key. We chose Sirius XM and they offer gift cards at different prices and lengths for those wanting to share this great music option with their favorite traveling friends. We’ve always been the type to jam out to our favorite songs on repeat on road trips, but we’ve had friends who rave about getting to listen to new books together on long drives. If you know an RVer that tends to take long trips and is always talking about the new book they read, this may be their favorite gift of the year! Prices start at $15 for one month, but there are also 3, 6, and 12-month options. Here are some instructions on how to gift a membership. Article originally seen on WinnebagoLife.com. Purchasing an RV is an exciting time for all new and seasoned RVers. There are 5 questions that all RVers should ask themselves when they start the process of purchasing an RV – either new or pre-owned. What Type of RV is right for your travels? When it comes to freedom and flexibility motorhomes offer the ultimate experience. 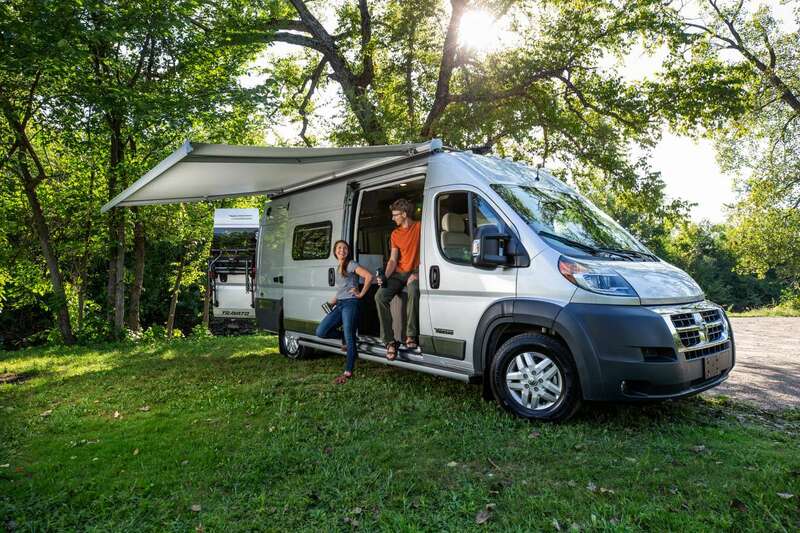 Ranging from the larger Class A motorhome to the compact Class B camper vans, to the Class C, all motorhomes are RVs that take transportation and living quarters and roll them into one comfortable experience. With something for everyone, motorhomes range from compact and space saving models to luxury buses that can all pull a family car in tow, so you can zip around town for daytrips. Read our in-depth blog post on how to choose the perfect RV for you here. What are my options for financing an RV? Financing is a great option for those planning on purchasing an RV. Financing allows the RV lifestyle to be more affordable by breaking up the cost into manageable monthly or bi-weekly payments. It is a great time to finance an RV as interest rates are low. You can work with your local lender to secure financing, or you can work with the experienced team at Lichtsinn RV. Kevin and Brandon in the Lichtsinn RV Business Office are authorized agents for several large national banks like Bank of America, US Bank, Bank of the West and more. Our relationships with these banks provide you with a competitive rate often lower than your local lender. We offer financing and are authorized agents for several large major RV banks including Bank of America, US Bank, Bank of the West and several other major lenders. We generally provide a credit application to these banks and allow them to compete for the lowest rate. All of our loans carry no fees at closing, no closing costs and no points. In most cases, the interest can be deducted for tax purposes by qualifying as a second home. We can generally do terms of up to 20 years! Pre-payments can be made in full or in part, at any time, without penalty with nearly all of our lenders. All of our loans are conventional fixed rate loans. We offer both monthly and bi-weekly payment options. Learn more about financing with Lichtsinn RV here. What kind of additional expenses should I plan for when buying an RV? RV Insurance: After you purchase your RV there will be some additional costs you want to plan for, the first being RV insurance. While it may be enticing to look for the cheapest RV insurance you can find, you will want to make sure it properly covers your RV. When looking at RV insurance, you will want to make sure it is RV-specific insurance and offers RV Full/Total Loss Replacement – offered on newly purchased RV’s one model year old or newer: if your RV is totaled within the first 5 years, this policy provides the monetary equivalent of what it costs to buy a brand-new RV of the same or similar model, even if it costs more than what you originally paid for your RV. You may look for additional offerings like vacation liability, pet injury coverage, fire department service charges or personal effects coverage for contents inside the RV. Most “other” insurance policies do not offer these additional benefits. Kevin and Brandon in the Lichtsinn RV business office are licensed insurance agents and can answer any questions you have regarding RV insurance. Learn more here. Parts and Accessories: There will be additional parts and accessories you will want to purchase for your new RV like tow bars, hoses, waste dumping chemicals, and more. The Lichtsinn RV parts team has identified the top parts and accessories you will want to purchase for your first night of RVing and it is available during our half-day orientation. Camping Fees: There will be additional costs when traveling in your RV like campground costs. There are several loyalty programs that include camping discounts including Winnebago’s WIT (Winnebago International Travelers) Club. Extended Service Contracts: You will want to consider the long-term costs of maintaining an RV. Most new RV Warranties cover 1-3 years so if you are purchasing a pre-owned RV or planning on keeping the RV for more than 3 years you will want to consider an extended service contract. Learn more about extended service contracts and why you should get one here. Do I get a pre-delivery inspection of the RV? A reputable RV dealer will provide you with a walkaround inspection and review of your coach. At that time, you can see how to operate your RV. At Lichtsinn RV, one of our RVDA Master Certified RV Technicians will provide you with a half-day educational orientation of your coach. You will learn how every single switch, component and feature works in your RV as well as learn maintenance tips and get your questions answered by a knowledgeable source. Will the dealer support and service my RV in the long run? RVs require service and maintenance and it is imperative that buyers find a dealer that will support them for the life of their vehicle and not leave them high and dry when it comes to servicing it in the future. You may find a fly-by-night dealer with a low price tag on an RV, in an old building with one or two service bays and techs, and no way of servicing your RV in the future. In 2014, Lichtsinn RV built a new, state-of-the-art RV dealership and has continued expanding in the last few years. Our dealership boasts 8 RV service bays, a large indoor RV parts and camping accessories store, a spacious service check-in area, a video production studio, indoor delivery and service drive area, and a guest lounge equipped with the latest technology. Lichtsinn RV also offers dealership guests complimentary electrical hookups while visiting for RV delivery or service. I’ve always been a huge fan of RVs, and last year, I decided to take my family for an RV camping experience. However, I noticed that RV parks are some of the noisiest places, and depending on your location; you’ll get exposed to sirens, road noises, dogs barking and loud diesel rigs. In any case, sleeping in an RV is still one of the most exciting experiences. Here, I’ll talk about some of the various ways in which you can improve it to enjoy sufficient sleep during the night. I’ve previously mentioned that it gets quite disturbing sleeping in a noisy area. So, you should know how to select the right field. Arrive at the camping ground early. Make sure that you have the right RV parking maps before traveling. Avoid packing next to smelly areas like Dumpsters. 2. Make Sure You Get The Right RV! Because I wanted to give my family the best camping experience, I had to choose the best RV in the market. These have different levels of quality, and at some point, I felt like I was deciding between brick and stick homes. I even discovered that affordability is better than the quality of sleep when getting an RV for a camping trip. However, despite your budget, there is something for everyone in the world of RV shopping. 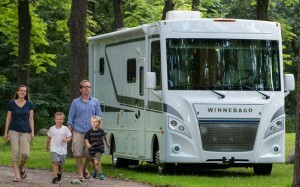 I got the Class C Winnebago Aspect because of its luxurious and comfy feel. I, of course, did some few minor adjustments to make it the best full-time lifestyle ‘coach’ to help you fall asleep instantly! I also had to choose a good mattress for my family. Keep in mind that even if you have the best camping vehicle, sleeping on an uncomfortable bed will give you sleepless nights. Studies also show that it may cause back and muscle pains and you don’t want such health aches to ruin your outdoor experience, right? 4. Ensure Your Leveling Jacks Are Wholly Extended! You don’t want your leveling jacks to be partially extended because your RV rocks more once people start walking around inside. I even realized that using ‘auto level’ adjustments of your HWH leveling jacks sometimes prevents the rear jacks from fully extending. In such a case, what happens is that your RV bounces and shifts on its rear suspension. It’s just like it’s your kids jumping around in your truck or car. Therefore, ensure that you’ve thoroughly extended your jacks until they’re all in contact with the ground and then adjust them from there. By taking some weight away from the suspension, you RV will feel quite stable for a good night’s sleep! If you’re carrying some load-bearing airbags at the back of your RV, make sure that you take all the air out. I took quite some time before realizing this, but just like the jack extensions, it assists in keeping your camping vehicle from rocking as people move about. This method works in handy if you don’t have some leveling jacks. Levelling jacks take most of the weight away from the suspension. However, I still noticed that even with leveling jacks, your RV will always carry a lot of pressure with fully packed airbags. All in all, remember to inflate you airbags before hitting the road. Here, it’s crucial to mention that the right airflow plays a huge part in giving you a proper night’s rest. The truth is that an RV feels somewhat stuffy, especially if you don’t take the necessary precautions. Keep in mind that RV’s heat up pretty fast when you’re on the road. So, keep the windows open and buy an active fan to keep the air fresh and crisp. I like keeping my bedroom reasonably bright. However, I know that there are those of you who prefer sleeping in total darkness. My Winnebago RV has an adequately fixed skylight that glows in the evening, providing one of the most suitable outdoor feelings. I also installed some day-night shades and added some new curtains just to make the room a little bit darker. There is a lot that you can do to improve your RV for proper sleep. Although these are only seven reasons, I’m sure that you’ve upgraded your camping vehicle using other methods. In any case, choosing what suits you is all you need to do. So, from these tips, which one do you think is the best?